The cosine of an angle is the ratio adjacent to this corner of the leg to the hypotenuse. This value, like other trigonometric ratios used to solve not just right triangles, but for many other tasks. For an arbitrary triangle with vertices A, b and C the task of finding the cosine is the same for all three angles, if the triangle is acute-angled. If the triangle has an obtuse angle, the determination of its cosine should be considered separately. Acute-angled triangle with vertices A, b and C find the cosine of the angle at the vertex A. Lower the height from the vertex To the side of the triangle AC. The intersection point of heights with the party as mark D and consider the right triangle АВD. In this triangle side AB of the original triangle is the hypotenuse, and the legs — the height BD of the original acute triangle and cut AD belonging to the side AC. The cosine of angle A is equal to the ratio AD/AB, because AD is the side adjacent to the angle A in a right triangle АВD. If you know in which the ratio of the altitude BD divides the side AC of the triangle, the cosine of the angle As found. Sin2 A+ Cos2 A=1. To find the cosine of the angle And calculate: 1- (BD/AC)2, from the result to extract the square root. The cosine of the angle As found. If the triangle is known to all parties, the cosine of any angle find the cosine theorem: the square of the sides of a triangle is equal to the sum of the squares of the other two parties without twice the product of these sides into the cosine of the angle between them. 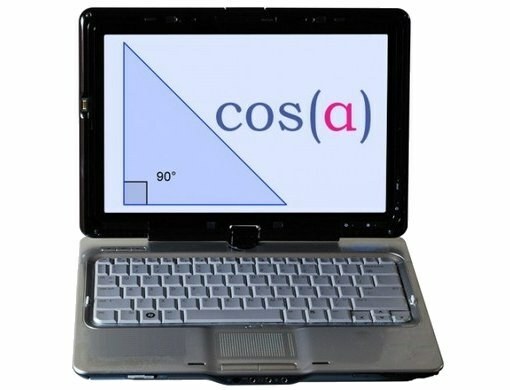 Then the cosine of the angle A in a triangle with sides a, b, C compute by the formula: Cos A = (A2-b2-c2)/2*b*C.
If the triangle you need to determine the cosine of obtuse angle, use the formula of the coercion. The obtuse angle of a triangle is more direct, but less deployed, it can be written as 180°-α, where α is an acute angle complementary to the obtuse angle of the triangle to the deployed. According to the formula cast, find the cosine: Cos (180°-α)= Cos α.